One of the most notable Latvian composers in the first half of the 20th century was Lūcija Garūta. Taught by Jāzeps Vītols, the father of Latvian academic music and the founder of the Latvian Conservatory, she was one of the first professional female composers in Latvia, and she achieved a significant amount of success in Latvia in the period between the two World Wars. During World War II, Garūta used her music to demonstrate against the Soviet occupation, and during this time she composed her best known work – the monumental oratorio Dievs, Tava zeme deg! (God, Thy Land is Aflame). Even today this work remains one of the most powerful large-scale choral works in Latvian music – the performance of her arrangement of the Lord’s Prayer – ‘Mūsu Tēvs Debesīs’ – was one of the most memorable moments of the 2018 Song Festival. Garūta also composed extensively for piano. 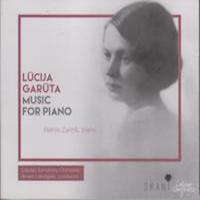 Recognizing her significant contribution to Latvian piano music, pianist Reinis Zariņš recorded an album Lūcija Garūta. Music for Piano, which includes both symphonic and solo piano works. Released by the Latvian national record label Skani in 2017 (40 years after Garūta’s death in 1977), this collection is a valuable and welcome addition to the comparatively few recordings of Garūta’s works. Unlike many of her colleagues and members of the intelligentsia, Garūta remained in Latvia after World War II. Even though during the war she was hostile to the Soviet regime, Garūta was still allowed to compose, and perhaps her most significant post-war composition is her Concerto for Piano and Orchestra, composed in 1951. The work is dedicated to her niece Laila, who died tragically at a young age. Due to these circumstances, the work is both emotionally rich and vivid, at times even stormy, perhaps due to the wide range of emotions Garūta must have felt after Laila’s passing. The somber second movement is particularly moving, as it includes elements from Latvian funeral songs, while the third movement adds elements of playfulness and vitality, concluding the work on what could be a hopeful, positive note. Zariņš is joined by the Liepāja Symphony Orchestra, conducted by Atvars Lakstīgala, and in their hands, the Piano Concerto, at times a requiem, at other times a tender remembrance of a young girl, makes for a deeply personal and intimate work. As many Latvian composers have done throughout the years, Garūta also uses elements of Latvian folksongs in her works, such as in her variations on the Latvian folk song ‘Karavīri bēdājās’, composed in 1933, and still today remains one of her most popular works. As the title would indicate, this is a more serious work, about soldiers going to war and all the difficulties they face – from leaving their families to harsh conditions on the battlefield. At nearly twenty minutes, this expansive piano work is a showcase for Zariņš’ talents at not just skillfully performing the work, but also painting a captivating and engrossing portrait of the travails of soldiers. The collection also includes four preludes written in the 1920s, as well as ‘Meditation’, written in 1935. The CD concludes on the very tender ‘Lellītes aiju dziesmiņa’ (The Little Doll’s Lulling Song), also dedicated to niece Laila, and provides a quiet epilogue to this collection. This heartfelt work is given the appropriate emotion and feeling by Zariņš, and is a memorable performance of this deeply personal lullaby. 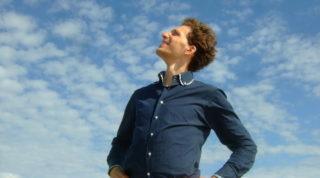 In the CD liner notes, Zariņš shares a story of how he unexpectedly discovered the sheet music for this – it happened to drop out of one of Garūta’s photo albums that Zariņš was perusing. The CD booklet features extensive information on Garūta and Zariņš, as well as the works performed, in both Latvian and English. Lūcija Garūta. Music for Piano confirms again the significant contribution of composer Lūcija Garūta to Latvian academic music, particularly in the field of piano music. Channeling the many emotions Garūta displayed in her music, pianist Reinis Zariņš provides masterful and nuanced interpretations of her works, both the intimate solo works, as well as the sweeping Concerto for Piano. 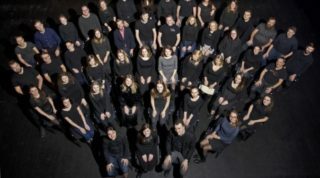 As has been the case in all of their releases so far, the Skani label has done an excellent job of highlighting not just notable Latvian composers, but Latvian performers as well. Music for Piano is a vital document of one of the most significant composers in Latvian history.